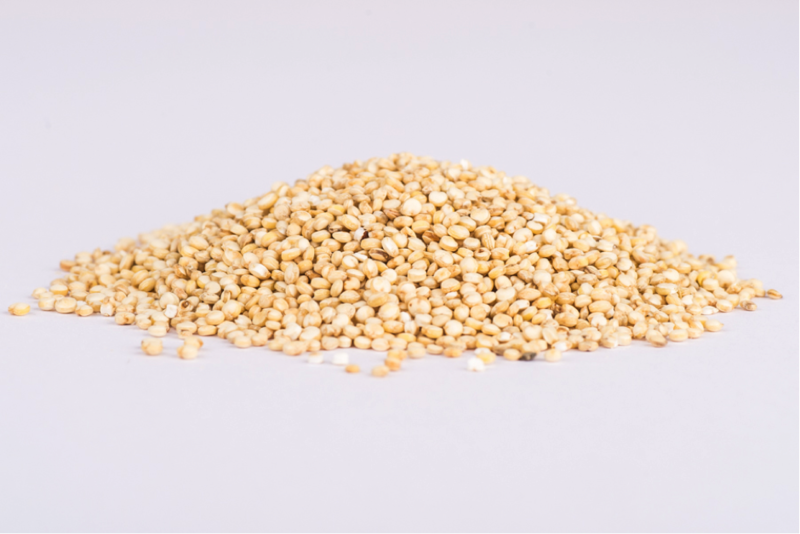 Quinoa is the seed of Chenopodium Quinoa. The seeds are processed under stringent conditions, washed, dried and mechanically cleaned. It should be free from any off foreign odours and taints. Product should be firm in texture with a white/cream colour. Packed in a factory that handles nuts, sesame seeds, gluten, soya & sulphites and stores peanuts & mustard. The quinoa come from an accredited supply. Afropol Fine Foods have SALSA accreditation.